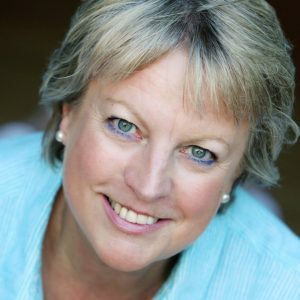 Dr Sally Vanson is an international and very sought after business coach, coach supervisor and professional coach trainer. She has been nominated for both the Association of Coaching Awards for ‘most influential coach’ and ‘most impactful coach’. Sally’s commercial achievements for record profitability led her to win recognition in the Hanson PLC Middle Manager of the year award (worldwide) after which she moved into a strategic role working on mergers and acquisitions, was an employed management consultant and then Director of OD and HR for Mazda Cars before founding The Performance Solution™ in 2001. 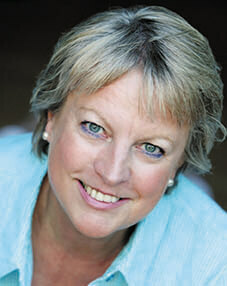 In 2002 Sally became a global partner with Dilts Strategy Group, based in San Francisco. You can book a discovery session or a coaching hour below. Sally’s positive attitude and insight, underpinned by an ability to analyse complicated strategic issues quickly and logically, enable her to inspire practical solutions for transforming personal and business performance. She works in industries as diverse as legal and financial services, hospitality, pharmaceutical, logistics, ‘e’ commerce, manufacturing, automotive, retail and professional services in blue chip organisations, the public sector and third sectors on a global basis. Clients include The London Stock Exchange, Bevan Brittan LLP, Astra Zeneca, NHS, Thomson Reuters, Harlequin, Mills & Boon, HMRC, European Central Bank, EIOPA, Prudential Insurance as well as clients in mainland Europe, UAE, Kenya and Australia. Sally is valued for her innovative and pragmatic approach and her passion for positive and congruent leadership is one of the reasons that professional coaches choose to be trained and supervised by her. Sally’s current projects revolve around the optimal performance of people in organisations as well as the development to post graduate level of other coaches. Sally has gained a reputation as an international speaker and is the author of three books. She completed her doctoral research into dysfunctional, identity issues in senior partners in law firms resulting from commercial challenges and the changing face of the profession. She is a visiting fellow at Kingston University and an associate lecturer at University of Derby and University of Ulster. She directs the ICF ACTP faculty. Coaching with Extended DISC 2007, Performance Publishing.